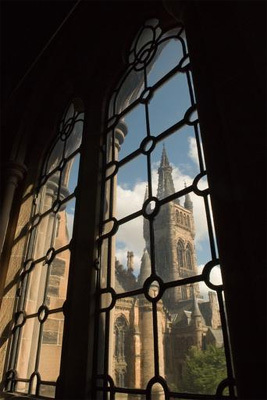 John Halkett matriculated at the University of Glasgow in 1785. He was an advocate, a Director of the Hudson's Bay Company and an author. Born at Pitfirrane, Scotland, Halkett was also a student at the University of St Andrews in 1786, and admitted to the Scottish bar in Edinburgh in August 1789. In 1801, he was appointed Governor of the Bahamas and in 1803-05 Captain General and Governor of Tobago. From 1814-19, he was appointed Chairman of the Board of Commissioners of West India Accounts in London. Halkett was appointed a member of the Hudson Bay Company London committee in November 1811, which had granted his cousin, Lord Selkirk, land to establish a settlement at Red River. Halkett championed this settlement project even after Selkirk's death in 1820 and went to Montreal and Red River in 1821. He returned to London in 1822 and in 1825 published Historical notes respecting the Indians of North America: with remarks on the attempts made to convert and civilize them. in which he highlighted the need to be more sympathetic to the native Indian way of life and approach change among that community with care and caution. Hallkett died on 12 November 1852 at Brighton.